Functions and products with genuine added value and a quality seal. 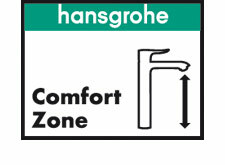 Hansgrohe can help: we enhance your customers' lives and give them greater comfort. Activate hand or overhead shower? Do you prefer soft water droplets or an invigorating shower jet? Would you like to be able to turn your mixer on and off with pinpoint accuracy? Select means you can control water at the touch of a button and have more fun in your bathroom and kitchen. 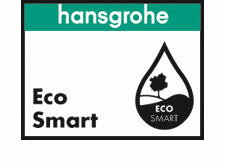 Hansgrohe mixers and showers fitted with EcoSmart technology require up to 60% less water than conventional products. This reduces water and energy costs and conserves valuable resources. 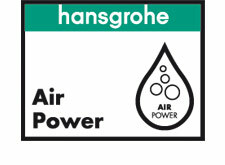 With this shower technology, Hansgrohe mixes water with air. thus saving water and energy. Moreover, the water feels silky smooth, because water enriched with air makes the droplets plumper, lighter and softer. 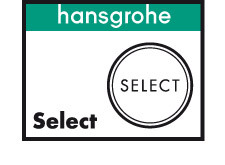 A variety of spout heights for all types of wash basin, ample dimensions, outstanding design, intuitive operation: Hansgrohe mixers with this trademark extend the ComfortZone. You really need to have experienced this: showering pleasure on a large scale with jet types that have an unashamedly feel-good factor. 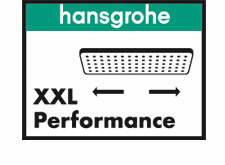 Hansgrohe's overhead showers, with a diameter of up to 600 mm, envelop you in a dream world of water – and guarantee XXL Performance in the bathroom. 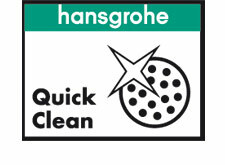 Use QuickClean from Hansgrohe to remove limescale deposits on mixers and showers quickly and easily. Flexible silicon naps make sure of this. 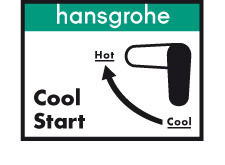 Beware of copies: this QuickClean logo is the only guarantee of genuine Hansgrohe quality. This multi-talent is a milestone in bathroom history: the Hansgrohe iBox universal. It creates more space, freedom of movement and scope for planning in the bathroom – and is quickly installed.